We believe building a home should be a seamless process. This innovative and integrated design/build approach to business is evident in the creative and distinctive homes Blue Heron produces. You should feel confident that the entire team involved in the design and build of your home is working together with the same vision in mind. The level of integrated design-and-build services that Blue Heron offers is unparalleled. 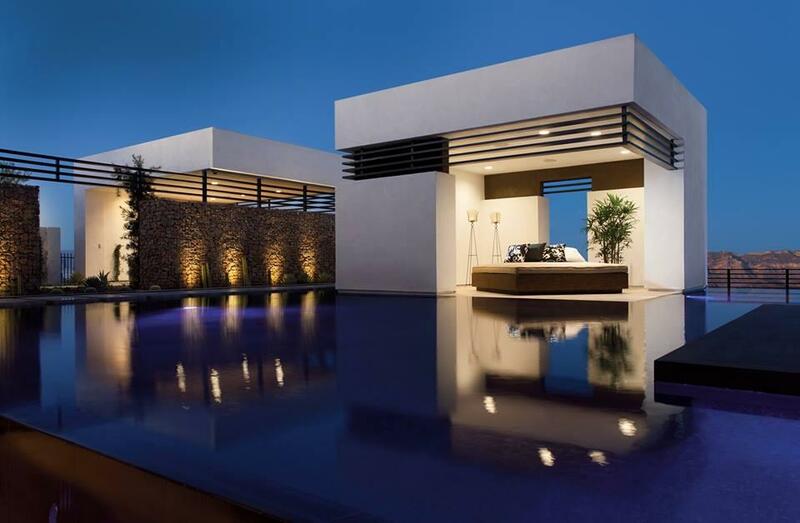 From the architect to interior designer, general contractor, landscape and pool designer, Blue Heron’s full range of services will make sure you get an exquisite home. A home that’s perfectly suited to its environment and to its owner doesn’t just happen. 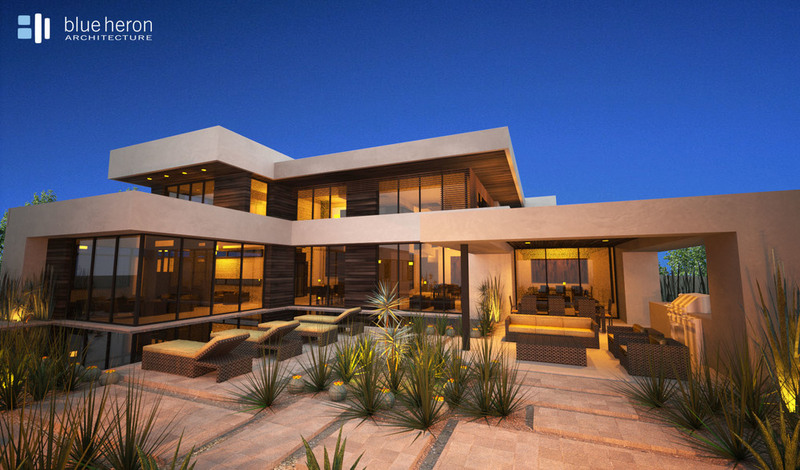 Blue Heron’s award-winning architecture expertly blends aesthetics with function in our desert contemporary style. And with an emphasis on sustainable design, our elegant homes bring together indoor and outdoor living, delighting even the most discerning clients. We work tirelessly to achieve our clients’ goals through the most innovative methods of design and construction. You also want the inside of your home to be well designed while showcasing your unique style. That’s where Blue Heron’s interior designers come in, providing expert guidance that ensures you’ll be happy with both the interior design process and the final result. And because our interior designers are part of the process from the very beginning, interior design is fully integrated with the architectural design. At Blue Heron, we spend a lot of time getting to know you. We make sure we understand your family’s needs, your design preferences and your budget to create a home design that’s both practical and elegant. That means that when construction begins, you can relax. We manage construction closely, ensuring that our contractors stay on budget and on time, and that your home is built according to the highest industry standards. 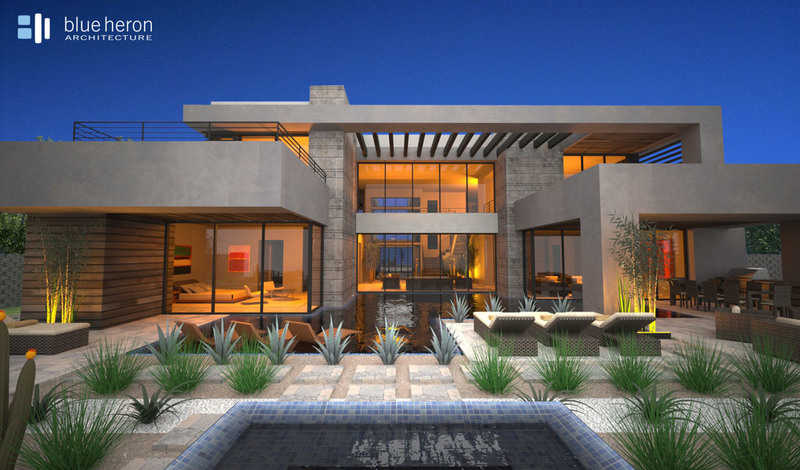 With only 12 new homes in an enclave, overlooking the Las Vegas valley, the Horizon Lights private gated community offers our newest desert contemporary designs with spacious courtyard entrances, stunning open floorplans, and energy efficient, green building technologies. With convenient and easy access to the best in Green Valley and Henderson, Horizon Lights homeowners have the opportunity to select from the luxury amenities Blue Heron is known for; breathtaking sky decks, contemporary pools and spas, floating staircases, pocketing glass doors and much more. Starting in the high 600’s. Blue Heron’s commitment to excellence continues in the 44 homes of Sky Terrace, a new predesigned luxury residential gated community situated high on a mountainside enclave overlooking the Las Vegas valley. Easy access to the area’s fine dining, shopping and golf is just the beginning. The privately gated community features five sophisticated and flexible open floor plans, ranging from 3,460 to more than 5,500 square feet. And Sky Terrance homes offer stunning desert landscape, energy efficient technology and state-of-the-art amenities. With their alluring architectural design and courtyard style floor plans, the custom homes of Marquis will elevate personal luxury living to a new level. Just as enticing, these innovative Blue Heron homes are situated between two fairways on the nationally recognized Rio Secco Golf Course in the community of Seven Hills. Whether an avid golfer, or someone simply seeking the private splendor of a secluded enclave, the thirty-three estate homes in the gated community of Marquis Seven Hills will satisfy even the most discerning taste.